Why is good eyesight so important? Most of the information we use when driving comes to us through the eyes, like the road we are travelling on, road signs, pedestrians and other vehicles. Our eyes control most of our movements and decisions while driving. All drivers, especially you as a professional driver must make sure that your eyes receive good care and attention because poor eyesight becomes a safety hazard to yourself and other road users. 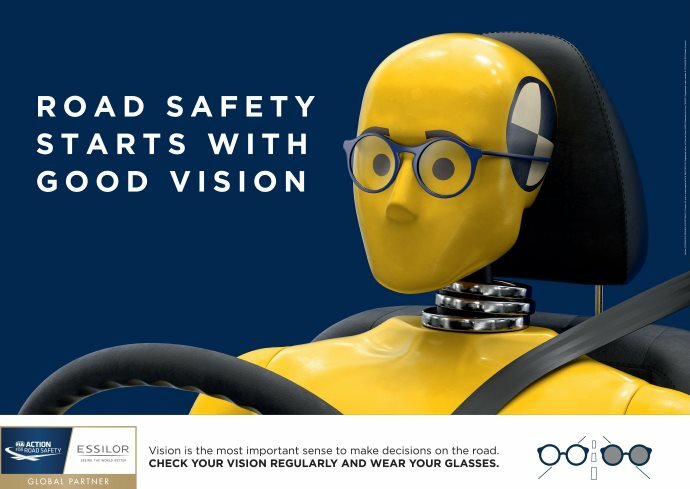 How Are The Eyes Used When Driving? This is the ability to focus and see clearly with both eyes. With good visual accuracy, you will see detail very easily. For professional drivers, this is very important, because good visual acuity is what helps you to identify road signs, cyclists, pedestrians and animals. This is the ability to see over a wider area without moving your eyes of your head as if you are “looking out of the corner of your eyes”. This is the ability to judge space and distance between objects, or between an object and a vehicle. Depth perception relies on good binocular vision, which is essential for judging whether a car can be passed safely in the face of oncoming traffic or when moving from one lane to another. The ability to see during low light beyond your headlights, to see in the glare from oncoming headlights and to recover quickly from the effects of glare. Night vision deteriorates with age and older drivers with reduced vision will need to exercise greater care when driving at dusk and at night. This may be caused by humidity, smoke, certain medications like anti-allergy or sinus tables and sometimes, simply because of getting older. Tear Solution from your local chemist would help, but talk to the pharmacist about the problem first! This is the inflammation on the inside of the eyelid and surface of the eye, caused by bacteria, viruses or pollution. The eyes become red, the eyelids are swollen, the eyes water all the time and at night, the eyelids stick together. Pink-Eye is contagious, so a visit to your doctor for the right treatment and advice is a must. These are cloudy areas in the lens of the eye. Cataracts can be caused by diabetes or exposure to ultra-violet light. Cataracts are easily spotted during routine eye exams. Important - untreated cataracts lead to blindness. This happens when there is too much pressure in the eyeball. If the pressure is not relieved, the optic nerve of the eye may be damaged, causing blindness. Have a regular eye test to spot problems in enough time to fix them. How do Vitamins Help Maintain Good Visions? Vitamin A - Maintain good night vision, and is found in liver, carrots, cabbage, pumpkin, tomatoes and broccoli. Heat, light, alcohol, coffee and smoking destroys Vitamin A.
Vitamin B2 - A shortage of Vitamin B2 causes burning eyes, sensitivity to bright light and cataracts. Mushrooms, asparagus, bean sprouts, milk and fish are good sources of Vitamin B2. Selenium - Too little selenium in your diet could cause cataracts. Make sure you include tuna, herring, cottage cheese and chicken to keep selenium levels up. If you have prescription glasses or contact lenses for driving, make sure you always wear them. Make sure your headlight glass is clean; that the bulbs are in good working order and that the lighting system is in the correct position. Don’t state at oncoming headlights - it takes longer to recover from the glare. Rather look slightly to the left of the oncoming vehicle. Have your eyes tested once a year to be certain that you have the visual skills necessary to be a safe driver! Wear professionally prescribed sunglasses to protect your eyes from sun glare. It is your personal responsibility to make sure that you have the visual skills necessary to drive safely. 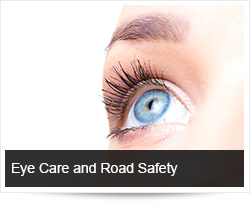 Click here for more information on how eye diseases can affect drivers.